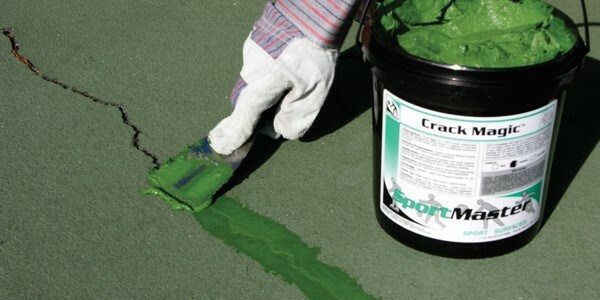 Is It Time To Resurface Your Tennis Court? SportMaster has representatives and stores throughout the Midwest to serve tennis court contractors, court owners, and specifiers. Fill out the contact form on this page and we will get back with you quickly with recommended tennis court builders and resurfacing contractors that can provide free quotes throughout the Midwest. Asphalt and concrete tennis court surfaces really take a beating from the Midwest climate and weather conditions. Before you know it, cracks and puddles appear on your tennis court and most court owners don’t know the right way to fix them. As a product manufacturer and supplier, we can provide recommendations on repair procedures and put you in touch with qualified tennis court contractors to provide free estimates. 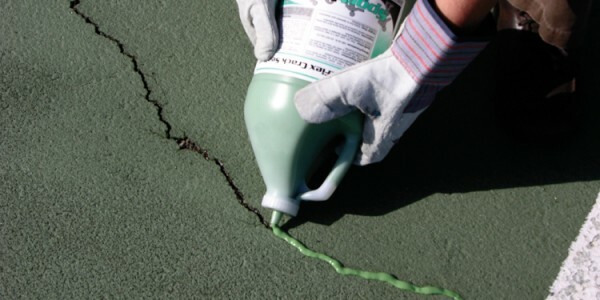 There are different tennis court crack fillers and repair methods to choose from, and local professionals can provide recommendations for the Midwest. 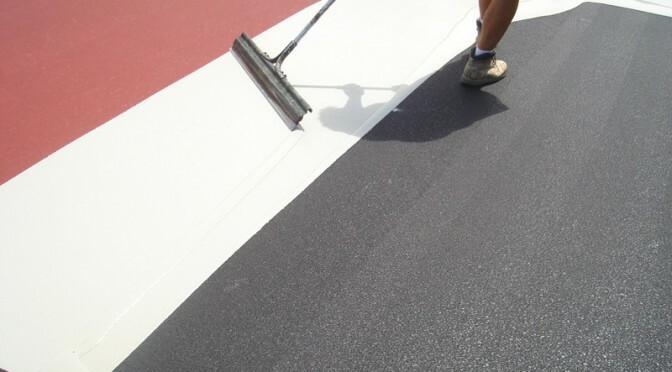 Whether you need heavy bodied crack fillers for larger cracks or flexible, elastomeric sealants for small to moderate cracks that exhibit movement, SportMaster has many options. Asphalt tennis court surfaces are commonly used in the Midwest. Dying tree roots under the court surface, expansive base materials, and improper compaction are just a few of the issues that can cause areas of the pavement to sink. This creates puddles, commonly known as birdbaths on a tennis court surface. Click here to download SportMaster’s high quality design files for your next project. Why Do Tennis Courts Crack Under The Tennis Net? When Is It Too Cold To Apply Tennis Court Surfaces? How Do You Paint A Tennis Court? How Often Should Tennis Courts Be Resurfaced? Can Pickleball Be Played On A Tennis Court? How Do You Get Rid Of Puddles On A Tennis Court? What causes bubbles or blisters on a tennis court surface? What Causes Rust Spots On A Tennis Court Surface? 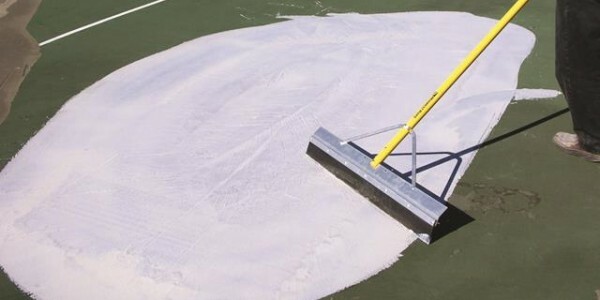 How Important Is Silica Sand In Tennis Court Paint and Coatings? 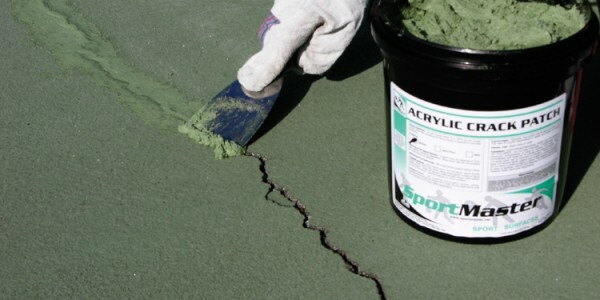 How Long Does Tennis Court Crack Filler Last? 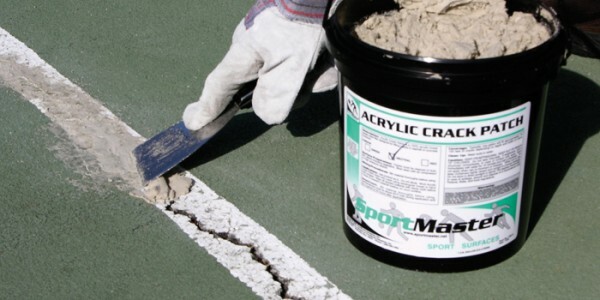 Does My Tennis Court Need Acrylic Resurfacer? What is the best tennis court surface?